2018 proved to be a pretty gnarly psychological roller coaster that’s dragged all of DC along for the ride, but through the ups and downs, our best restaurants have been there for us. No matter what crazy thing dominated the news cycle each week, the openings kept coming, and chefs, bartenders, cooks, and servers were at the ready with a bottle of bubbly to celebrate the milestones or a pile of carbs so we could eat our feelings. 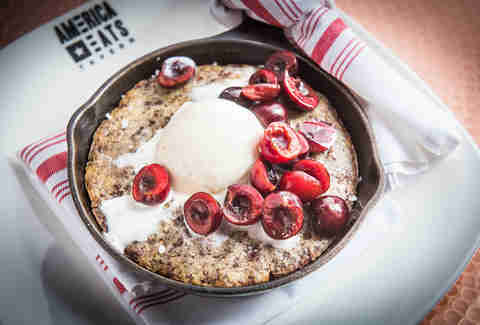 We saw a revival of history at an American tavern, a refreshing dose of new vegan food by way of Philadelphia, the introduction of underrepresented cuisines from diverse chefs, a micro restaurant that demands a standing ovation, a place for really great bagels, and newcomers in some of the city’s strongest categories. Here are the best spots that opened in DC this year. If there’s one thing you didn’t know your life was missing, it’s vermicelli mac & cheese. That’s right. Move over, elbows -- it turns out long strands were the OG noodle in the game. 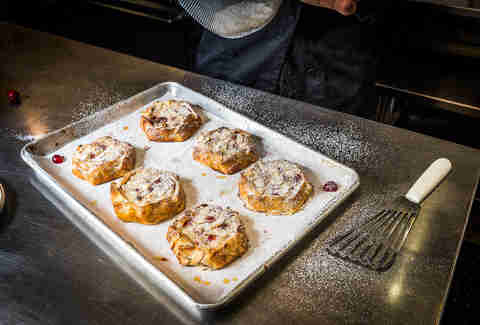 The recipe is inspired by an early 19th century version from Philadelphia. This creamy history lesson is just one example of the dedication to classic and traditional American dishes. 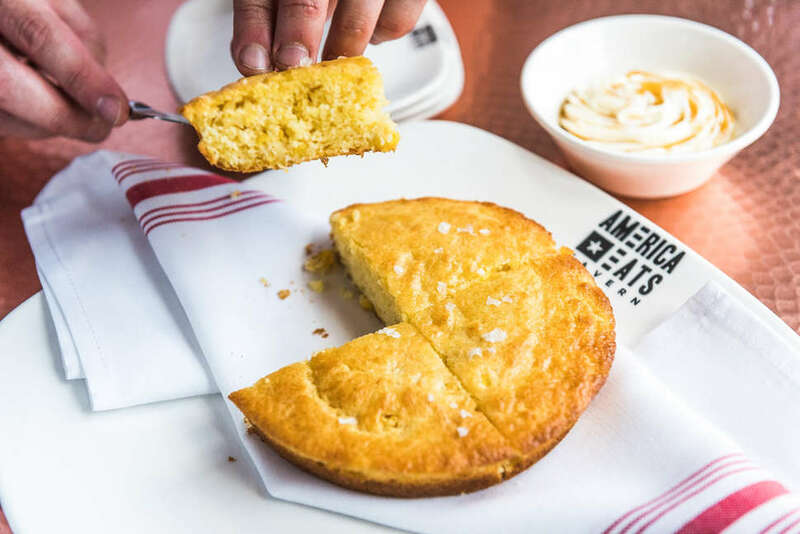 Chef Claudio Foschi’s menu is inspired by recipes from historic cookbooks and the National Archives, like brisket, pulled pork, fried okra, skillet cornbread, shrimp and grits, fried oysters, and more. The two-story dining room was designed to evoke the nostalgia of a cross-country road trip. 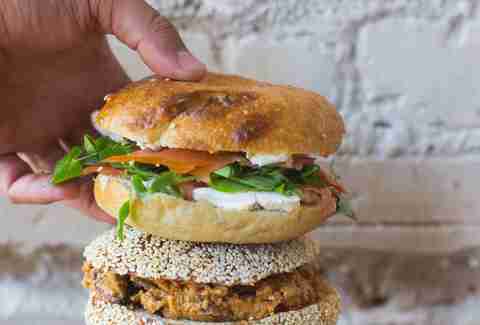 The Timber Pizza team is known for their epic wood oven pies, but lately, bagel is #bae. Their new Jew-ish deli slings classics like bagels and schmear, as well as riffs on traditional fare, like whitefish croquettes and a Philly cheesesteak made with pastrami and brisket. They haven’t strayed too far from their roots though, as the bagels are baked in a custom wood oven from the same artisans who make their pizza ovens. Co-owner Andrew Dana says the bagels are the result of New York and a Montreal-style bagel having a baby. You can top the rounds with favorites like smoked salmon, cream cheese, and onion, or try a new combo in a sandwich like the Rashida, with peanut butter, bacon, honey, and apples. This new concept from Philadelphia’s Vedge Restaurant Group landed on our national Best New Restaurants list, and for good reason. Fancy Radish puts plant-based cooking in the spotlight in a way that even carnivores will go crazy for. 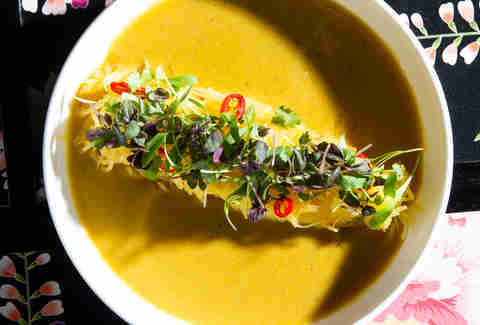 It takes after the elegant, chef-driven Vedge, which pushes the boundaries of vegetables, but also has similarities to the street food at V Street. 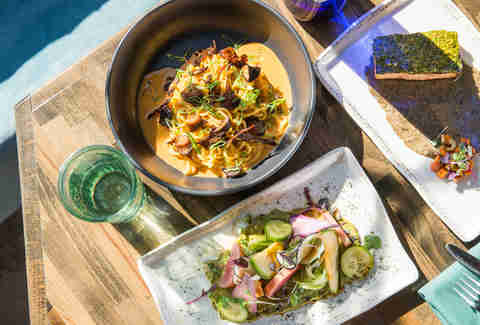 Expect the unexpected, with unique preparations that elevate produce, like rutabaga fondue, spicy dan dan noodles with five spice glazed mushrooms, and of course, the namesake dish: fancy radishes with yuzu avocado, shiso, pickled tofu, and cucumber. The bar is stocked with cocktails, draft beers, and natural wines. Ivy City’s resident upscale restaurant is relatively dressed down compared to a white tablecloth establishment. Gravitas is housed in a former warehouse, so they lean into the industrial vibe, with touches of greenery sprinkled in, like patches of moss growing on the exposed brick and succulents suspended from the ceiling in glass orbs. The dining experience here is customizable: guests can choose from about 15 dishes to craft a unique combination of however many courses their stomach desires. 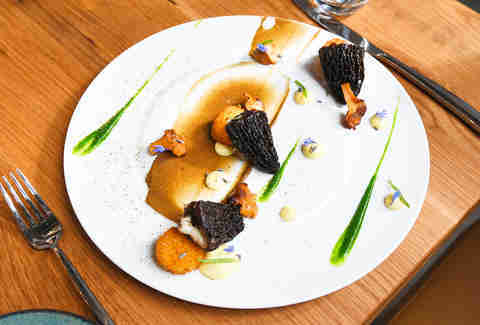 Each dish is intricately composed and is as beautiful to look at as it is to eat. The drink menu gives frequent shout-outs to the distilleries, cideries, and breweries in the ‘hood. The lines down the block during the lunch rush ought to be enough to convince you that Little Sesame’s got game. Once inside, one bite of the unbelievably creamy hummus will definitely do the trick. The concept started in the basement of the late DGS Delicatessen, but was promoted to a fast-casual restaurant. Ronen Tenne, Nick Wiseman, and David Wiseman modeled the new space after hummus shops and markets in Israel, with abundant greenery, wood accents, and colorful tile. 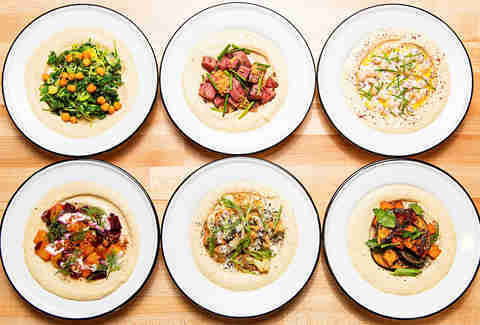 The menu features hummus bowls, with combinations that change with the seasons, like roasted squash, pomegranate molasses, crispy chickpeas, and cilantro. There are also several pita sandwiches and a selection of salatim, which are small, veggie-based sides. After Victor Albisu closed the beloved Del Campo, he replaced it with not one, but two concepts. The front bar and dining room turned into a location of his fast casual Taco Bamba, but the real gem is around back. 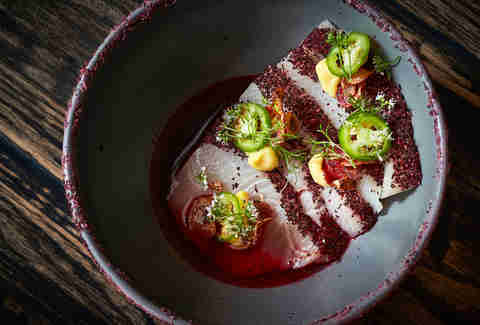 Poca Madre is an upscale contemporary Mexican restaurant that imports the best ingredients from Mexico to produce dishes that will change the way you think about the cuisine. The revelations begin with a simple-yet-astounding scratch-made tortilla and continue with noodles made from shrimp and cuttlefish doused in a zippy coconut milk sauce. The bar spotlights agave spirits in a variety of creative cocktails. After cooking at Tosca and Posto for years, Chef Massimo Fabbri opened a place of his own. At San Lorenzo, he shares a taste of his heritage through Tuscan ingredients and traditional recipes. 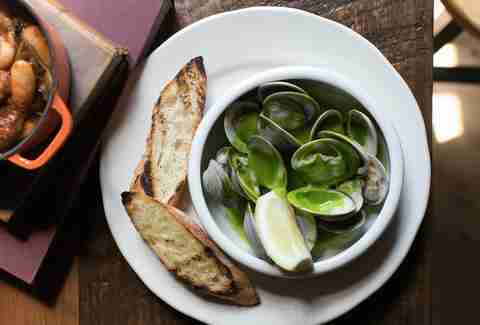 The small restaurant is cozy and simple, perfect for enjoying approachable dishes like baby heirloom beets with burrata, roasted calamari, fresh pappardelle with Tosca-style rabbit ragu, fisherman’s stew, roasted pork ribs, and tiramisu. The bar offers several signature cocktails, like the Maialetto with amaro, blood orange, rosemary, and prosecco, along with popular Italian cocktails, wine, and beer. Another honoree in this year’s national Best New Restaurants class, Spoken English pushes boundaries at The Line. The concept by Erik Bruner-Yang is modeled after the Japanese Tachinomiya, which is a casual hang without seats where city slickers swing by after work for drinks and snacks. Bruner-Yang’s interpretation has two counters in the kitchen where up to 16 standing guests can sample a concise menu of skewers, small plates, and family-style whole poultry. Parties are urged to share and mingle with strangers, and libations like sake, beer, and cocktails can help get the conversational juices flowing. From Brooklyn to DC, St. Anselm is still trying to shake their steakhouse reputation. While there’s no shortage of beef on the menu, Joe Carroll’s American tavern offers much more. The new space dwarfs the original location, and is part of the Stephen Starr empire. The heart of the restaurant is the grill in the open kitchen helmed by chef Marjorie Meek-Bradley. ‘Smalls’ and ‘bigs’ from the grill include clams with Chartreuse butter, fatty salmon collar, lamb sirloin, and pork porterhouse. Cow cuts go beyond the typical steakhouse chops -- think flat iron and ax handle rib eye. You can sip whatever you want with your steak, whether it’s the expected bold Cab Sauv or a light, chillable red. The quirky décor adds to the unconventional vibe, with fraternal banners and taxidermy. Lani Furbank is a freelance food writer who’s always looking for a new restaurant to christen "the best meal she ever ate." Follow her on Twitter and Instagram @lanifurbank or read her work at www.LanisCupOfTea.com.